This is my first time writing here. First, before I proceed with more stories or mishaps or whatever things going on around me.. I would like to tell you a few things about me..
#1 I am a left-brain person. Meaning, I deal with math, logical thinking, facts and rules better than my right-brain functions. I am not a philosophical, imaginative person. Typical doctor trait. Give me math problems.. done! Ask me to draw.. gone case! Haha..
#3 I’m only human.. we make mistakes and learn from it! #4 My favourite colour is hot pink!! Feminine, solid yet attractive 😉 But anything bright and bold will do, actually..
#5 I eat a lot. Sometimes more than my husband 😀 I just love food..
#7 Being a doctor is cool but being a mom is AWESOME!! Posted on September 24, 2011 September 25, 2011 by Dr Halina Mohd YunosPosted in WhateverTagged first. nice one…welcome to blogger world…. hi DR!! hehe..welcome to the blogging world..hopefully that you will not neglect this blog and please update it very often!! 🙂 hehe..love to hear from you..
membebel lah yang saya suke…cerciter2.. I love hot pink too, hot mummy! Heee. Gimme ten! 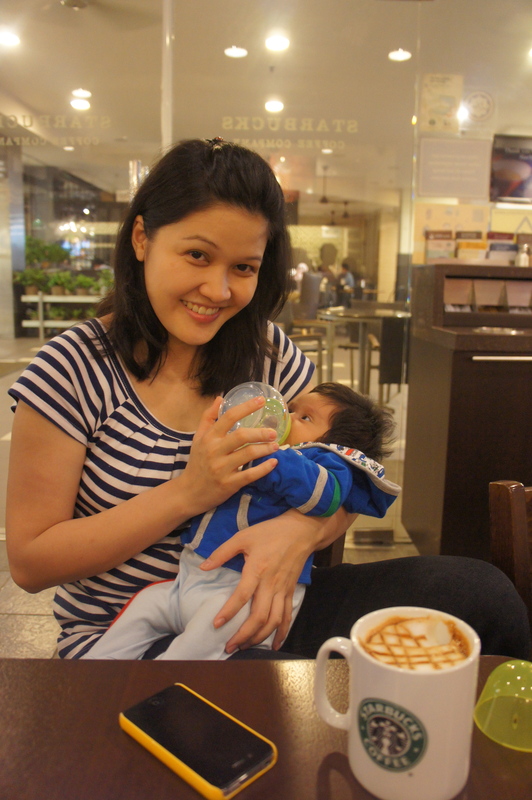 welcome to blogging world Dr.
u r a supercool supermom! DR ok x botol momma tu..? Sempat lagi nak ucap Eid Mubarak. Waiting for new post but not arrive yet. Dont worry, i’ll wait patiently. I just real your old posts and decided to read your first entry. i did try to create a blog but i ended up not knowing what to write. feeling awkward. reason why i comment here, *i hope i wouldnt ruined your happy mood. try to write this in the best/wise manner* since now you are wearing hijab, it is nice not to put your old photos unless your aurat is covered. issue regarding hijab is very sensitive or should i write covering aurat etc. Saya doakan semoga Allah jaga dan pelihara dr.halina dan keluarga setiap masa. Semoga Allah memberikan kita kefahaman mengenai agamaNya.. sebab apabila Allah menginginkan kebaikan, Dia akan fahamkan kita dengan ilmu agama. (hadith). i remembered reading your post saying that you are still new … learn to wear tudung from your friend/cikgu, etc i have so much respect for you. sebab? i dont know how to put in words. you just inspire me. a lot. panjang sangat dah. love, Melor Mohamad.